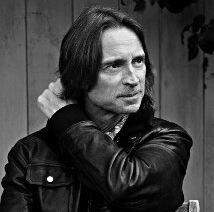 Robert Carlyle, OBE (born 14 April 1961) is a Scottish actor. He is known for a variety of roles in films such as Trainspotting (1996), The Full Monty (1997), The World Is Not Enough (1999), Angela's Ashes (1999), The 51st State (2001), and 28 Weeks Later (2007). In addition to his film work, he is also known for his roles in the television shows Hamish Macbeth, Stargate Universe, and Once Upon a Time. He won the BAFTA Award for Best Actor for The Full Monty and a Gemini Award for Stargate Universe. Carlyle was born in Maryhill, Glasgow, the son of Elizabeth, a bus company employee, and Joseph Carlyle, a painter and decorator. He was brought up by his father after his mother left when Carlyle was four years old. He left school at the age of 16 without any qualifications and worked for his father as a painter and decorator; however, he continued his education by attending night classes at Cardonald College in Glasgow. Carlyle became involved in drama at the Glasgow Arts Centre at the age of 21 (having been inspired by reading Arthur Miller's The Crucible), and subsequently graduated from the Royal Scottish Academy of Music and Drama. In 1991, he and four friends founded a theatre company, Raindog (named after Tom Waits' album "Rain Dog," one of Carlyle's favorites) (a company dedicated to innovative work then, which is now primarily involved in television and film work), and guest starred in The Bill. The same year he starred in his first movie, Riff-Raff, directed by Ken Loach. In 1994, he played the gay lover of Father Greg in the film Priest. Carlyle's first high-profile role came as murderer Albert "Albie" Kinsella in an October 1994 episode of Cracker opposite Robbie Coltrane (in which Kinsella killed five people, including Christopher Eccleston's DCI David Bilborough). This highly acclaimed role showcased Carlyle's "pure intensity". Shortly after his appearance in Cracker, he landed the role of Highland policeman Hamish Macbeth in the BBC comedy-drama Hamish Macbeth. The series ran for three seasons from 1995 to 1997. In 1996 and 1997, he appeared in the two highest-profile roles of his career to date: as the psychopathic Francis Begbie in Trainspotting and Gaz, the leader of a group of amateur male strippers, in The Full Monty, the latter earning Carlyle a BAFTA Award for Best Actor in a Leading Role. He also starred with Ray Winstone in the 1997 film Face. Carlyle played the senior Malachy McCourt (father of author Frank McCourt) in the 1999 film adaptation of McCourt's first memoir, Angela's Ashes, the arch villain Renard in the 1999 James Bond film The World Is Not Enough, and a cannibalistic soldier in the 1999 Ravenous. Carlyle appeared in the 2002 Oasis music video for "Little By Little". He played Adolf Hitler in the 2003 miniseries Hitler: The Rise of Evil. In 2006 he played the villain Durza in Eragon. In 2007 Carlyle played one of the main characters in the film 28 Weeks Later. He also played the lead role as a marine engineer, attempting to save London from total devastation in the disaster film Flood. That year he also portrayed Father Joseph Macavoy in the film The Tournament. In 2008 Carlyle narrated a BBC audiobook version of The Cutting Room. In 2008, Carlyle was cast as Dr. Nicholas Rush in the television series Stargate Universe. His involvement has been described thus, "As [the team fights] to survive, Dr. Rush (Carlyle) works to unlock the mysteries of the ship and return the group home, but evidence of his ulterior motives soon arises." Carlyle was touted by the studio as the "leading role" in Universe. In December 2008, Carlyle appeared in 24: Redemption, a television movie of the popular series 24, starring alongside Kiefer Sutherland. In 2009, Carlyle appeared in a long-form commercial for Johnnie Walker whisky, titled "The Man Who Walked Around The World", that showed Carlyle walking down a path and talking for six minutes in a single long take. The ad took two days to film. The director, Jamie Rafn, afterwards referred to Carlyle as an "utter genius".He voices the character of Gabriel Belmont, and his counterpart, Dracula in the video game Castlevania: Lords of Shadow, as well as its sequels Mirror of Fate and Lords of Shadow 2. Beginning in October 2011 Carlyle portrays Mr. Gold (Rumplestiltskin) in the fantasy-drama series Once Upon A Time. The character is a wizard, deal-maker, and master manipulator. 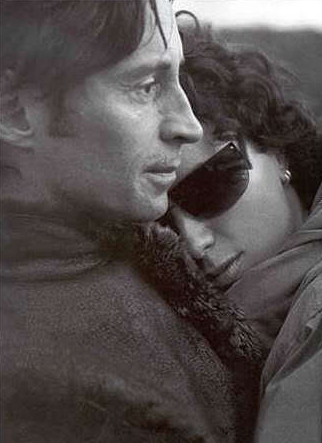 Known for his commitment to authenticity in roles, Carlyle has often altered his lifestyle and physical appearance to better understand a character—much akin to method acting; before playing a homeless character in Antonia Bird's Safe, he went to live in the Waterloo area of London where the film was set. For his role as a bus driver in Ken Loach's Carla's Song, he passed the test for a PSV licence (a licence to drive a bus with passengers) in a Glasgow Leyland Atlantean bus. 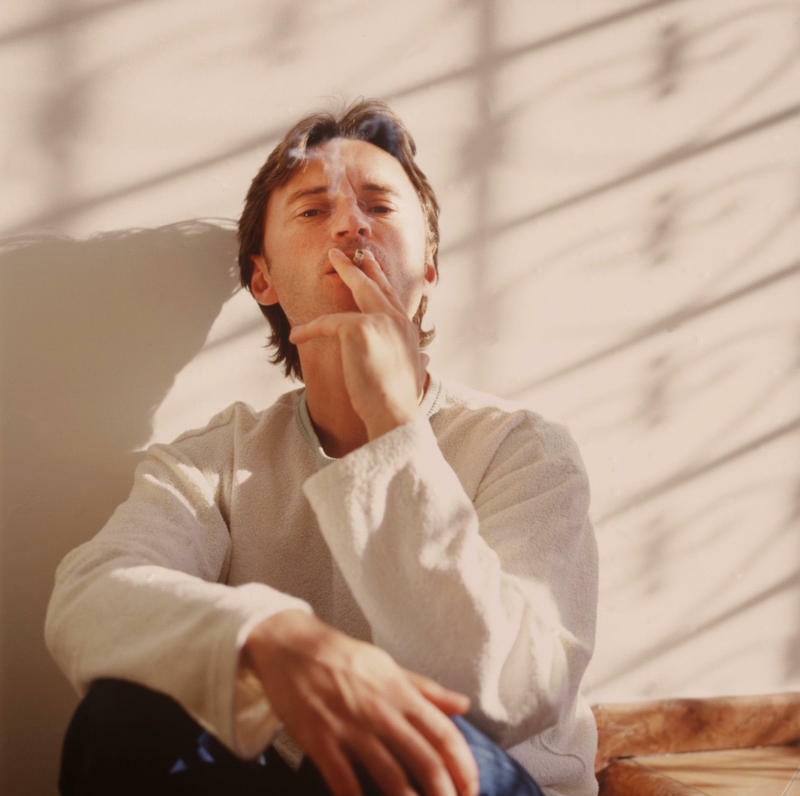 Writing of Carlyle's performance in The Full Monty, Andrew Johnston stated: "Carlyle was brilliant as the savage psycho Begbie in Trainspotting; here, he proves he can be almost as good when kept on a short leash. We don't know much about Gaz, but he's the most interesting character in the movie, largely because of Carlyle's down-to-earth warmth." Carlyle is married to make-up artist Anastasia Shirley, with whom he has three children: Ava (born 2002), Harvey (born 2004), and Pearce Joseph (born 2006). The family lives in Glasgow. Carlyle is a patron of School For Life in Romania. He is a fan of Partick Thistle. Want to know more about the man? To discover more about the actor but also about the man behind the actor.